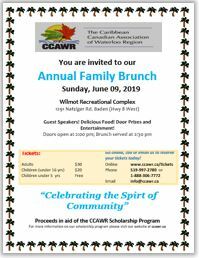 The Canadian Caribbean Association of Waterloo Region (CCAWR) invites you to our Annual Family Brunch event in support of our Scholarship Program. 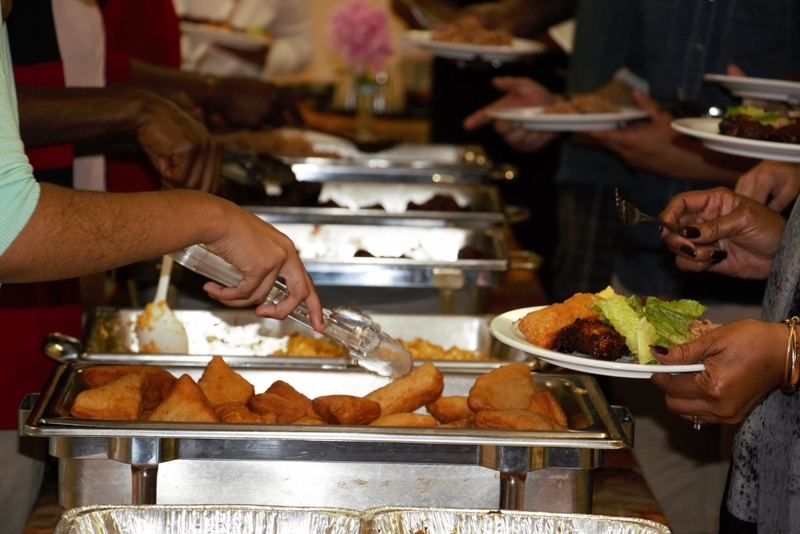 This year’s Family Brunch 2019 will be held on Sunday, June 9th 2019, starting at 2:00 pm at the Wilmot Recreational Centre, located in Baden. To order tickets please click on the tickets button to reserve your tickets online, or by sending us an email at info@ccawr.ca, or by contacting us at 519.997.2780 / 1.888.306.7772. 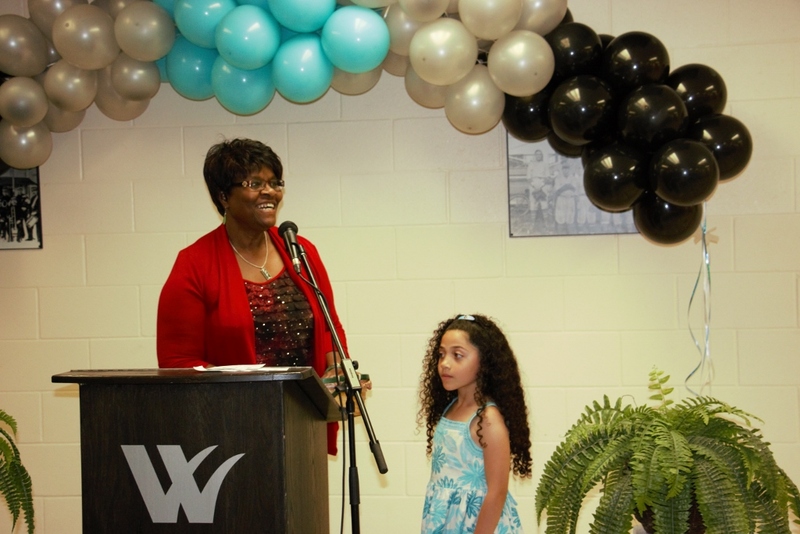 One of the goals of the CCAWR is to empower the Caribbean community in the Waterloo region through education. 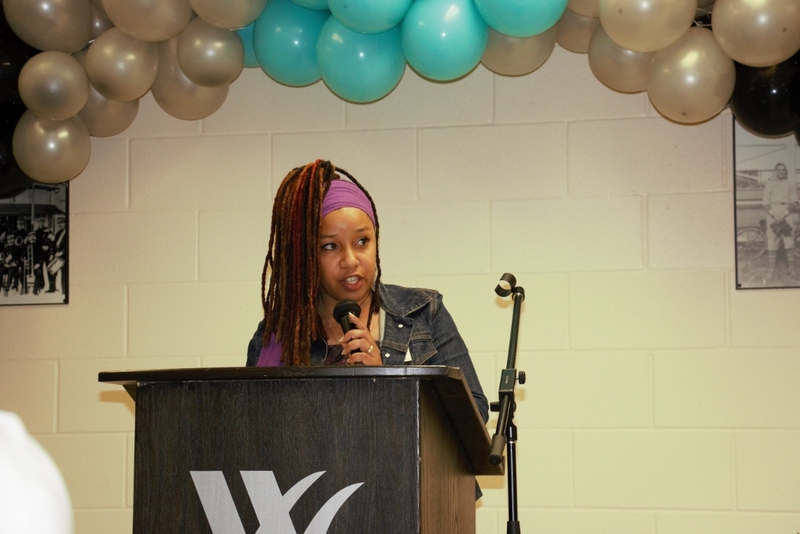 In September 2003, we established a scholarship fund to provide financial assistance to young persons of Caribbean-Canadian students that reside in the Waterloo region, who are pursuing post-secondary education at a College or University in Canada. 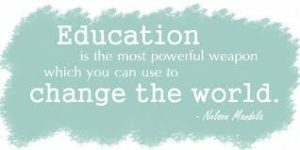 Out first scholarship was awarded in 2003 and to date, we have awarded 51 scholarships and over $45,000.00. The current scholarship level is now at $1500 and three awards are typically presented to deserving candidates. Through your participation and support, donations from members of the community and local businesses, and proceeds from the Family Brunch, we are able to support the overall scholarship program. Our goal is to increase the award amount each year. 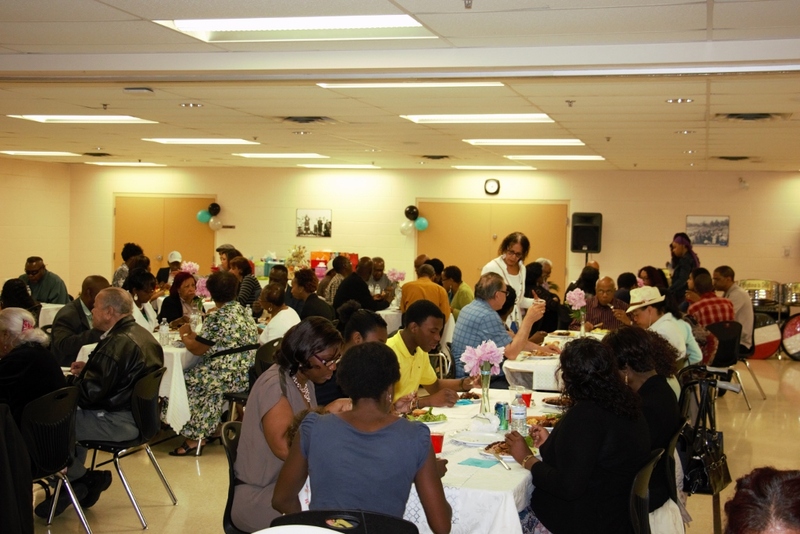 So join us on Sunday, June 9th to celebrate the “Spirit of Community” in support of the scholarship program. For more details about the event click here or on the flyer image to the right. For more details about the Scholarship Program and how to apply, please click here. Donations toward the Scholarship Fund are always welcomed.